Hey guys, im in the planning phase of my next build. It has a color theme of blue/grey/white/black. I am planning on ordering some sleeved cable extensions from ensourced.net (check it out if you havent, you can get custom cables for fair prices). Im stuck trying to decided on what colors to go with. but you probably have to guess the actual color with the sliders on the website. Now you have me thinking. 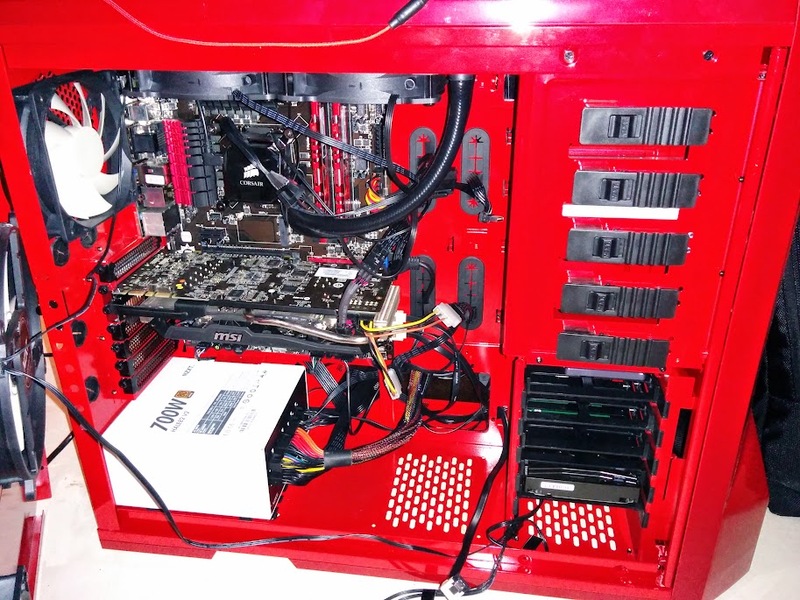 I am going with a red/black theme in my case. i know right, i have been fumbling with cable sleeving colors for the past 3 days. i just cant decide, there are so many options and cool themes i could go with. I decided to no go with nay of the multi-color ones it just adds too many choices lol. If you go red/black check out the third picture in this link, looks pretty sick imo. Here is a picture of the interior of mine. I want to work on the cableing some more. I also need to add in the wire ties. The problem is these are just extensions. The other site actually creates ones that are long enough to use by themselves. ahh yeah, the ensourced guy does does do full modular kits but you would probably have to contact him to ask if he does your power supply. And i know the full mod ones are much more expensive than just extensions. The ones i was looking at are just under 50 bucks for 2 6+2 extensions and 24pin mobo. I like your current cable colors just fine! I think your build will look pretty sweet, man! Man I wish I would have known about this place when I did my build. Maybe I will buy a new set of extensions. I actually kind of like the Blue Camo, but your custom selection would look good too. ahhh i know, i like blue camo and also the lightning, but im afraid it wont look good with the other solid colors. well i messaged the guy and he let me pick three designs and he would send me pictures of the design without making the cable. Very good customer service so far : ). Ill prolly post the pics when i get them.